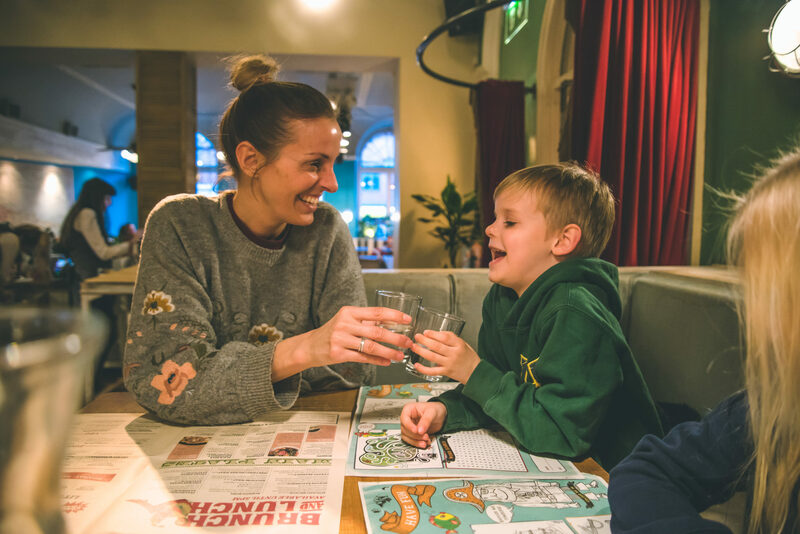 During our stay in Nottingham last month we were lucky enough to eat at some of the best restaurants that Nottingham has to offer, all completely child friendly. I don’t know about you but, with three small children, eating out can be stressful. I worry that they will be too noisy or too restless, that they will pull their nose at anything other than chicken nuggets and chips, that ultimately we will end up wolfing our food as quickly as possible just to get out of there before we are asked to leave by the management. 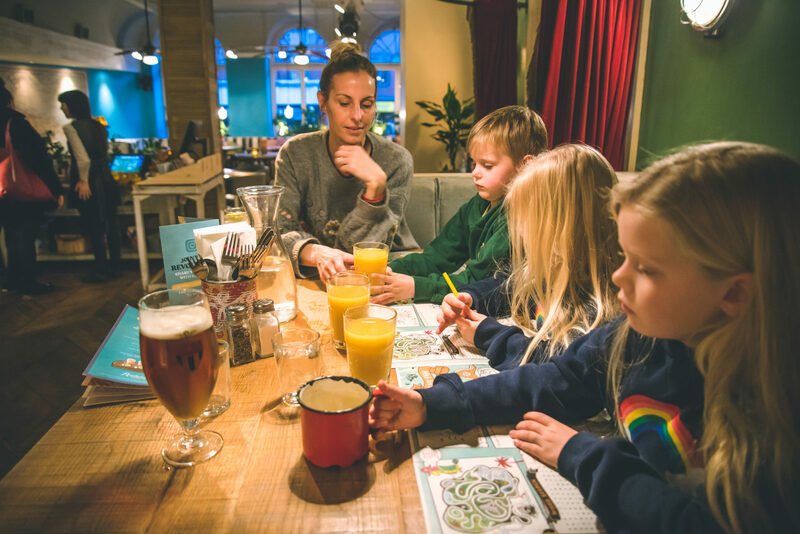 Of course, in reality, there are plenty of restaurants that are not only accommodating for families, but are welcoming too. And we wanted to share the best in Nottingham with you! On our first night we visited Revolution De Cuba, somewhere I have visited previously in other cities for cocktails with the girls, but never for food. If I’m being totally honest, I had no idea that their restaurants were family friendly, assuming they were solely targeting adults and cocktail drinkers, and yet from the moment we walked through the door we were made to feel incredibly welcome. The restaurant is spacious, stylish, and has such a fun atmosphere, with Cuban music playing in the background and the sound of chatter as people enjoyed a post-work cocktail or two. We were showed into a booth by our waitress for the evening who was so lovely and friendly and couldn’t do enough to help us throughout the meal. After ordering our drinks we took a look at the menu and it is, in short, amazing! 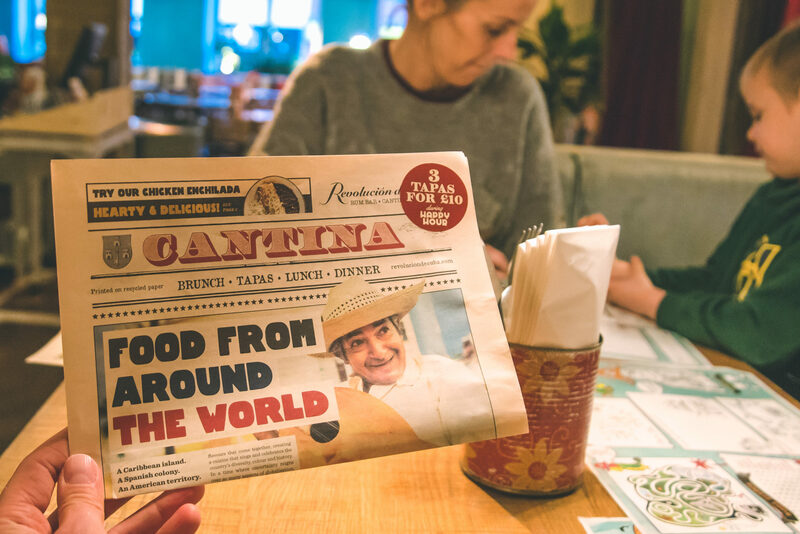 The children’s menu is filled with child-friendly dishes with a Cuban twist, and the adult menu has the most exciting range of dishes all of which sound utterly delicious! 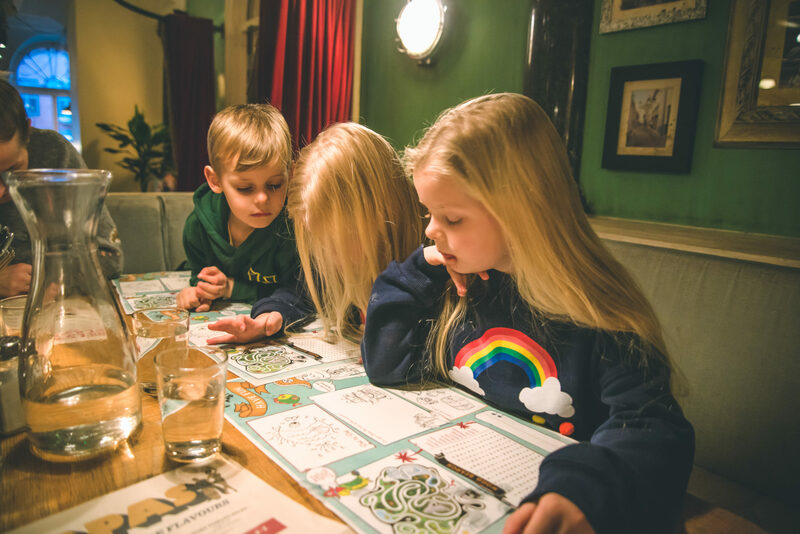 While we waited for our food to arrive the children coloured with the colouring sheets and crayons provided, and all of my worries about them being on their best behaviour and keeping their voices down were forgotten. 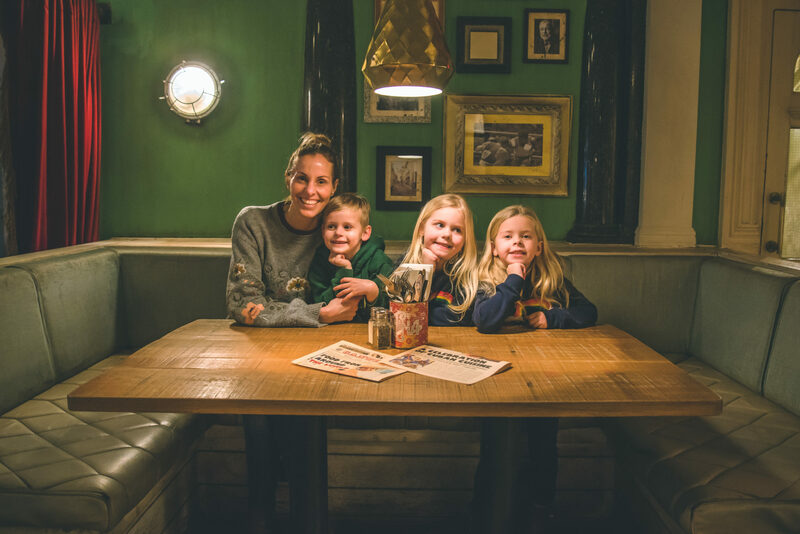 Gaz and I were able to sit back and relax, which is a real rarity with these three, and as the children bopped along to the background music, it felt like the perfect way to kickstart our week in Nottingham. Our food was out in no time and Gaz and I went for the same main course – Beef Filler Skewers. 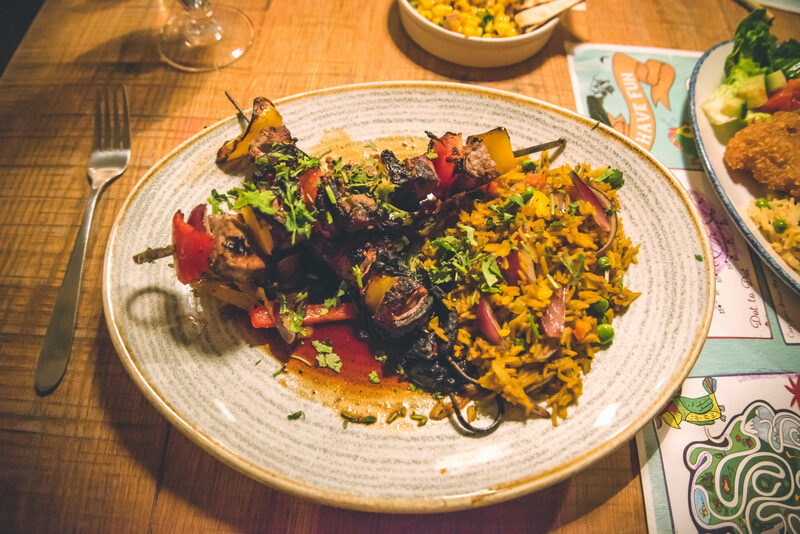 With tender slices of beef fillet, charred mixed peppers and red onion, coated in chilli jam glaze and served on a bed of aromatic rice, we couldn’t wait to get stuck in. With a side of buttered corn it was the most vibrant and flavoursome meal I’ve had in such a long time and I know next time we return to the restaurant I will be ordering the very same dish again! 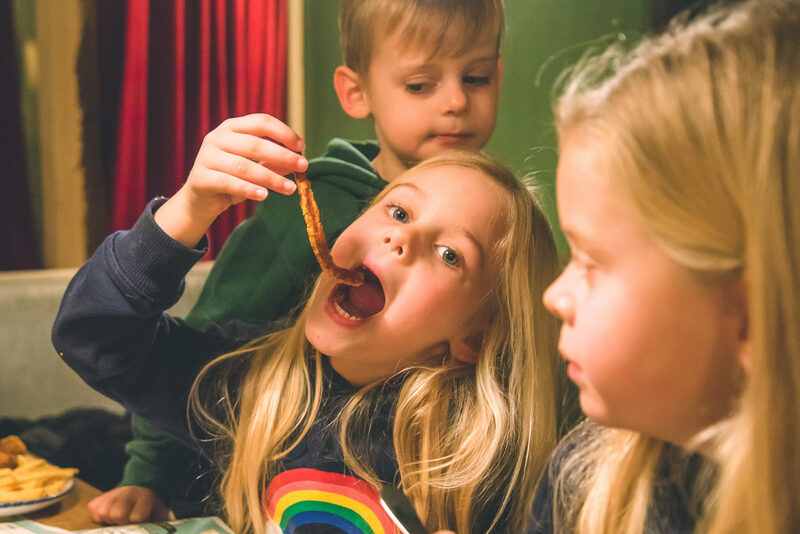 It was no surprise that all three of the children went for crispy chicken fillets with Harry having fries, Megan having sweet potato fries, and Eva having vegetable rice. And although I do like to try and encourage them to try new things, the fact they cleared their plates was good enough for me! We had such a lovely meal at Revolution De Cuba, not just because of the food (which really was some of the best we’ve ever tasted) but because the atmosphere was so welcoming, the surroundings so relaxing, and for the first time in seven years we ate a meal together without a single melt down – ours or theirs!! 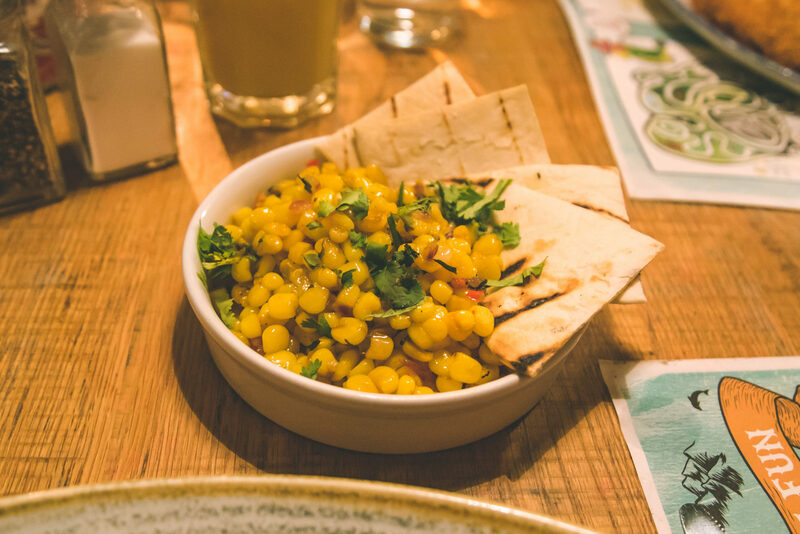 We definitely recommend Revolution De Cuba, you can find a restaurant local to you here. Previous Post: « ** Review & Giveaway ** Glam Goo!! 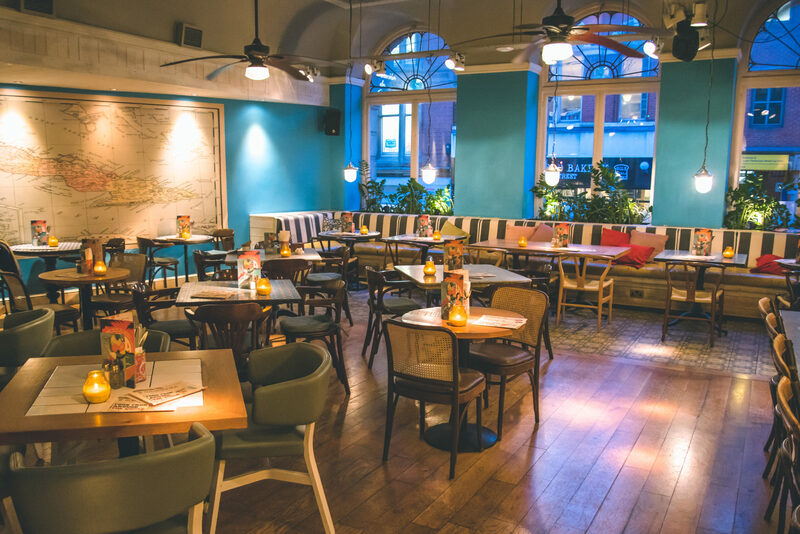 This looks like my perfect restaurant – child friendly, great decor and atmosphere and the food looks delicious! Will definitely go here if we visit Nottingham in the near future. Oo this looks and sounds like a fantastic place to eat as a family! 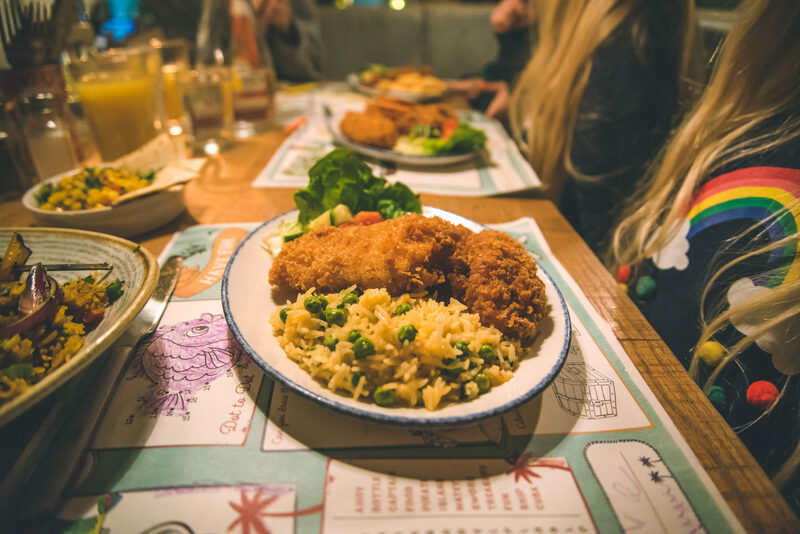 The crispy chicken would go down well with my kids too and I love how vibrant and fresh every plate of food looks! What a lovely looking place to dine. The food looks yummy.